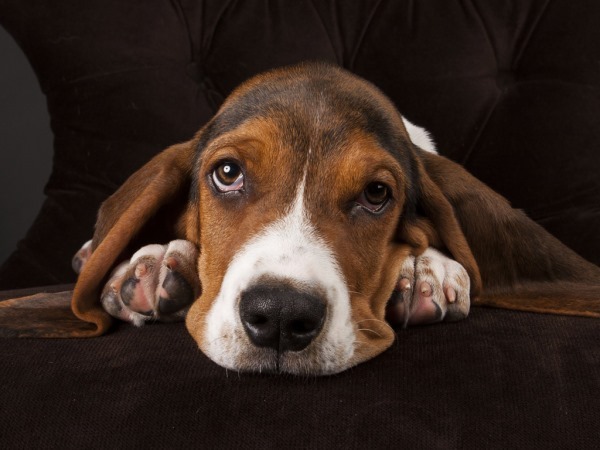 Doggie depression is real – is your pup suffering from it? Did you know your pets could be suffering from symptoms too? Did you know your pets could be suffering from symptoms of depression too? According to the vet charity PDSA (People's Dispensary for Sick Animals), loneliness is the biggest cause of canine depression. The organisation conducted a survey of 31 500 pet owners, and suggests 2,3 million dogs are regularly left at home alone for over five hours, with 28 per cent of hound owners in the UK believing there is no issue with their pets being on their own for between six and 10 hours daily. In fact, vets suggest the absolute maximum amount of solitude pooches can cope with is four hours. "These are very worrying findings and the fact that people think it's acceptable to leave their dog alone for so long is especially concerning," PDSA vet Vicki Larkham-Jones stated. "Lonely, frustrated dogs may be more likely to demonstrate problem or unwanted behaviour and over 50 per cent of UK veterinary professionals report having seen an increase in dog euthanasia due to behavioural issues in the past two years." Even more staggering is the claim that 465 000 dogs are never taken for a walk. With daily exercise and socialisation with other animals vital for a healthy hound, those who aren't taken out of the house run the risk of becoming mentally unwell. It's not just that the animals will feel blue either; loneliness can manifest in destructive behaviour in dogs. This is why some rip up furniture and carpets when their owners are out, plus it can lead to intense nervousness and separation anxiety which causes howling and toilet training issues. The message behind the survey is for animal owners to carefully think about the way they are treating their pets. Lengthy periods at home alone are not viable, so if you have a dog you will need to assess ways to change your lifestyle to fit in with your pet. Regular walks are also a must, and they can be just as beneficial for you as they are for your pooch. Walking is a great form of exercise and taking your animal to the local park is a great way to get to known other dog owners in your local area. It could even mean your dog isn't the only one who makes new friends - just the thing to tide off the remnants of Blue Monday!